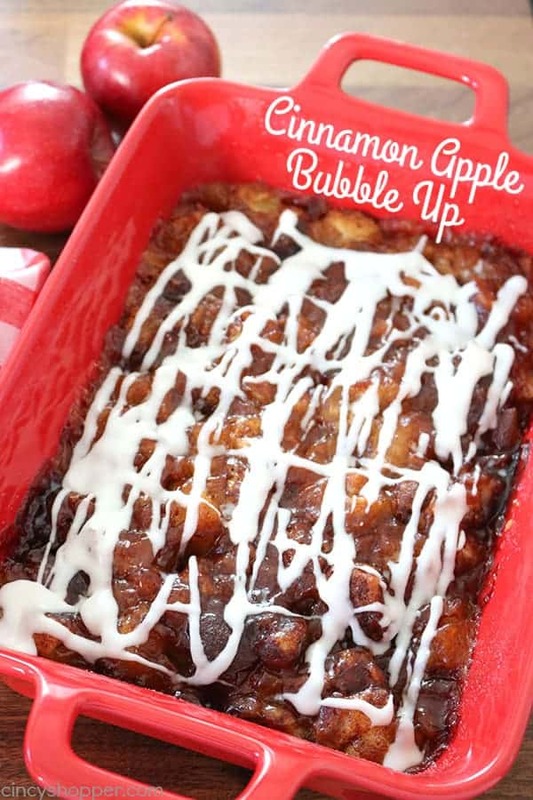 This recipe for Cinnamon Apple Bubble Up is so super simple. We use store bought Cinnamon Rolls and apple pie filling to make a mini casserole that is perfect for breakfast or dessert. Fall is just around the corner. It will soon be everything caramel, pumpkin, and of course apples. 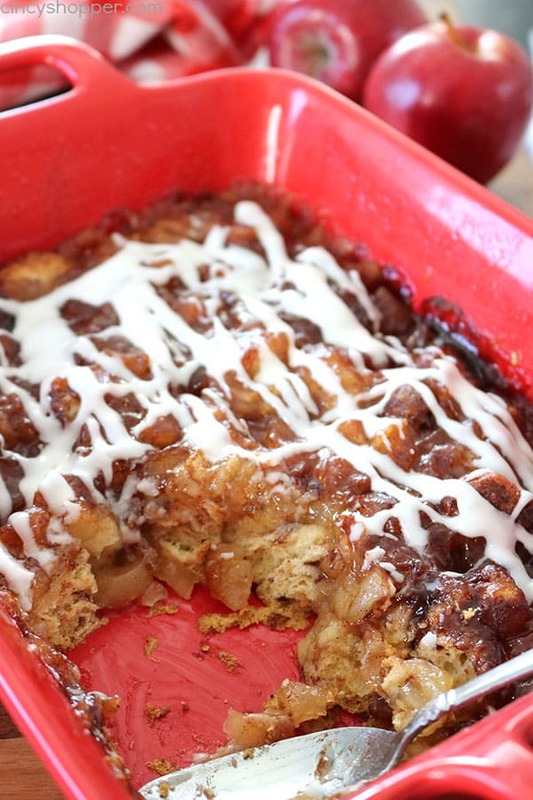 Nothing screams fall more than a comforting cinnamon apple casserole. I LOVE fall and caramel, and apples are always my favorite. Quite often, I will make our yummy Caramel Apple Cream Cheese Ring. I make it more often in the fall for sure! This past weekend, I decided to start thinking about fall recipes that I would like to share on the blog. 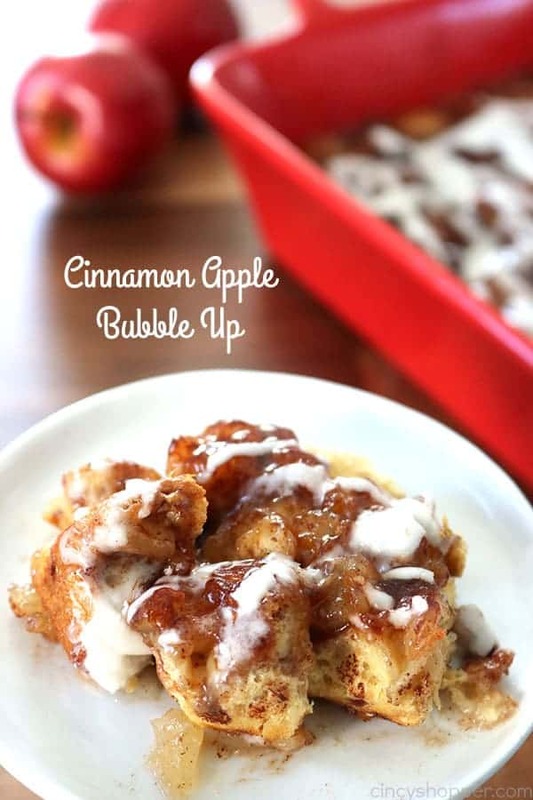 I have a big list of apple recipes that I am looking forward to sharing with all of you. 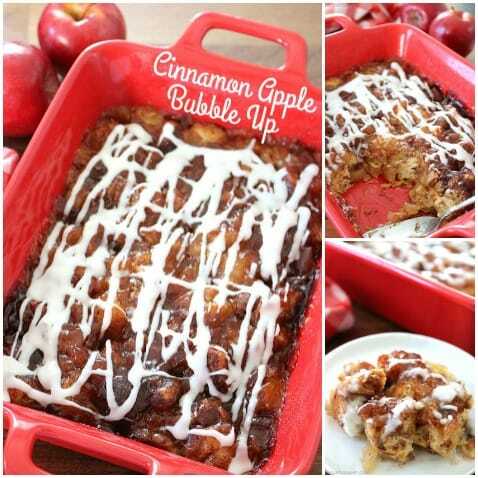 This Cinnamon Apple Bubble Up recipe was one that I put together for a evening dessert. I know it will be great for breakfast too. 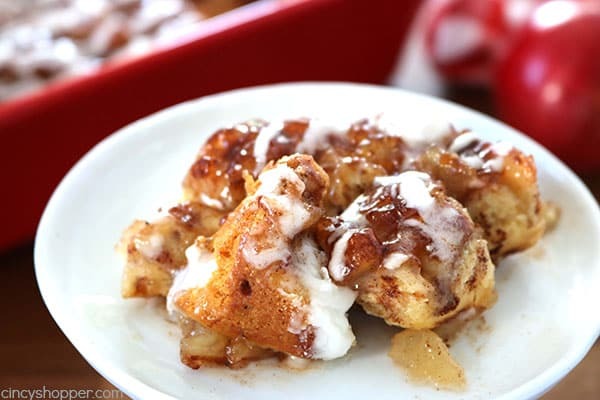 The recipe is similar to our Cinnamon Roll French Toast Casserole in that it uses store bought cinnamon rolls. Simple recipes are some of my favorite recipes. I like being able to throw together a semi-homemade recipe on the fly. My family loved this little casserole. We each enjoyed a scoop. Some added ice cream on top. Some added whipped cream. Some left it right as is. Grease bottom and sides of a 9×13″ pan and set aside. 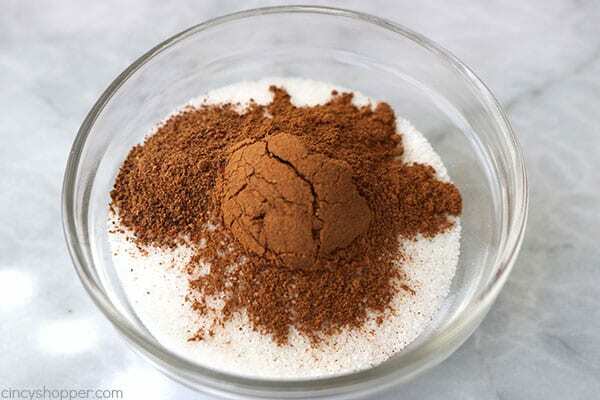 Add sugar, cinnamon and nutmeg to a small bowl and whisk to blend well. 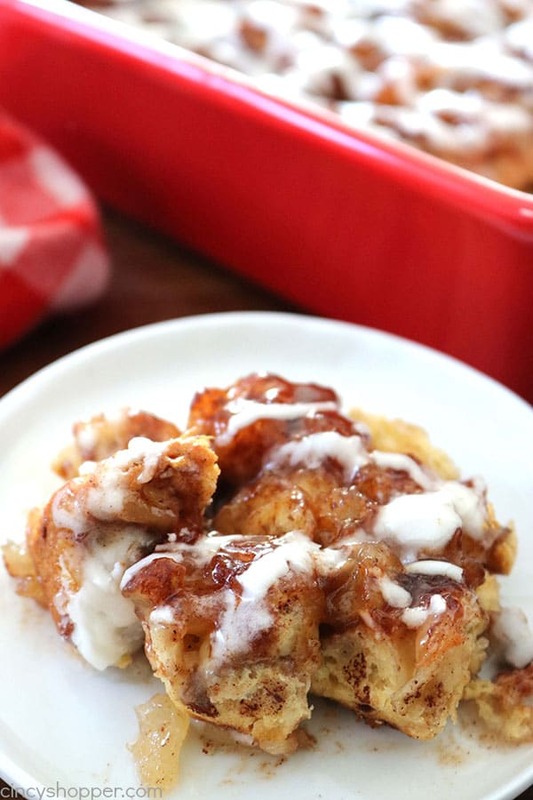 Cut each cinnamon roll into 8 pieces and place around bottom of prepared pan. Place pie filling on cutting board and chop fruit into smaller pieces. 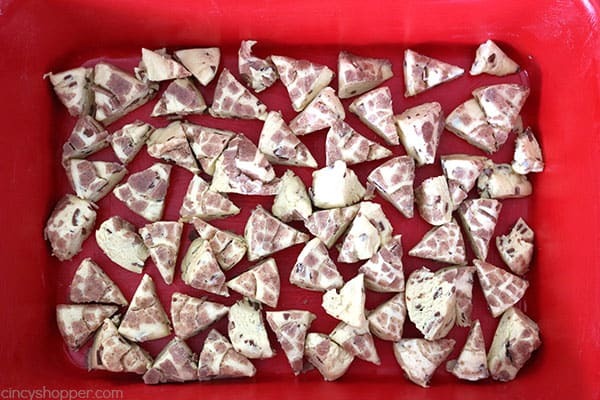 Spoon filling over cinnamon roll pieces. Sprinkle sugar mixture over filling and bake for 25-30 minutes. 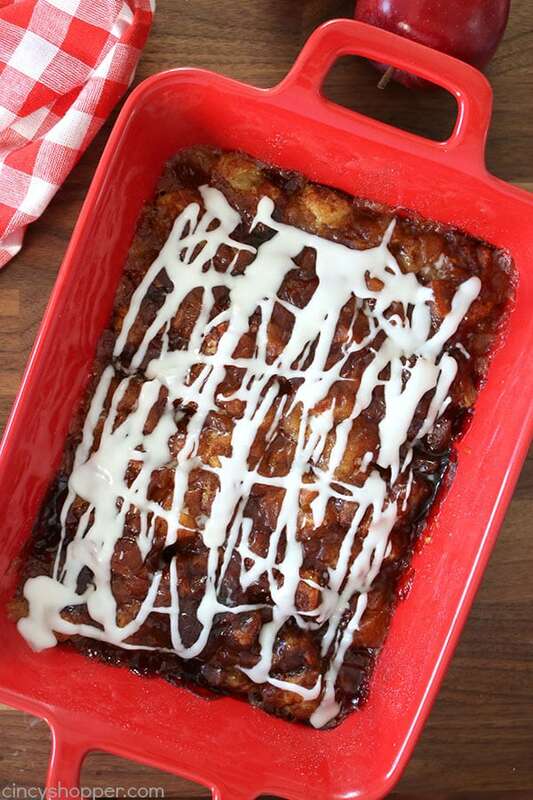 Drizzle with icing included with cinnamon rolls and serve. Note: I made our Bubble-Up in a 9X11 casserole dish. You can use whichever dish you choose, even a pie pan. 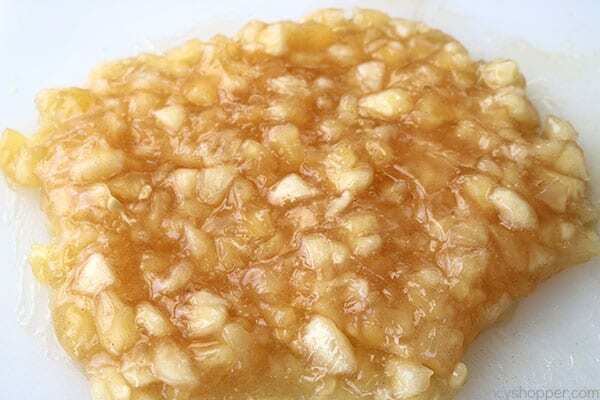 Do you have a favorite fall apple dessert? Grease bottom and sides of a 9x13" pan and set aside. 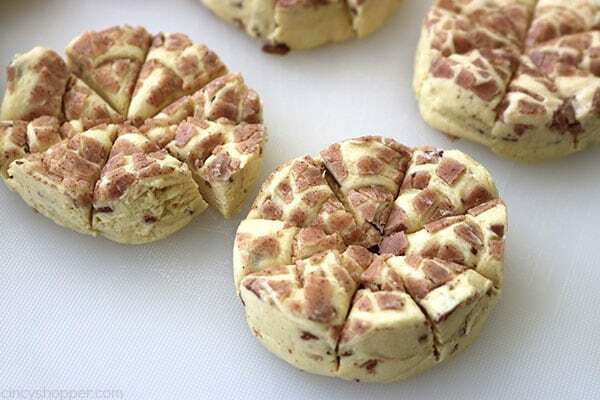 Cut each cinnamon roll into 6 pieces and place around bottom of prepared pan. Am I missing something? What is supposed to be done with the cinnamon, sugar, nutmeg combination? I have read it 4 times and cannot find anything. Sorry if I have just overlooked it. Thank you. Hi Susan! Thanks for letting me know on Facebook so I could update the recipe. Sorry for the confusion. Somehow that portion of the recipe did not translate over into the recipe software. Okay, sounds great, but I think you missed a step. 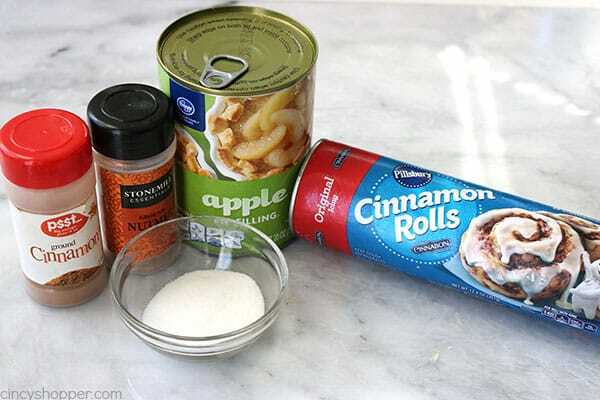 We mix the sugar and spices in a bowl…Do we add the chopped pie filling to the bowl and mix together before spooning the filling over the cinnamon rolls? I read the recipe twice and I am thinking that would be right, right? Hi Karen! Sorry for the confusion. I have updated the recipe. Somehow that portion of the recipe did not translate over into the recipe software. Question, what do you do with the cinnamon mixture? Mix apples into that? Sprinkle over pie filling? Hi Christine! Sorry for the confusion. I have updated the recipe. Somehow that portion of the recipe did not translate over into the recipe software.